Whether it’s running your first 5K, hiking the Pacific Crest Trail, or summiting Mt. Everest, we’re constantly impressed with the creativity and commitment of supporters who fundraise as part of a personal challenge or event. But you don’t need to swim the English Channel to make an impact in the life of a Nepali child in need. Face-to-face events like house parties and bake sales work too! Please contact julie@NepalYouthFoundation.org or 1+ (415) 331-8585 to discuss the possibilities. Use a Personal Goal or Challenge—Whether you’re going on trek, doing a race, or have a personal goal to meet, use the opportunity to raise money for Nepali children who need it most. Ask your family, friends, and colleagues to sponsor your efforts! Free online platforms make fundraising easy by offering personal pages with photos, the ability to share your page via email and social networks, and gift processing. NYF friends have worked with platforms like Crowdrise, JustGiving, and Mightycause, but there are others. Host an Event—Using house parties, tea groups, game nights, school clubs, and activities through your workplace are easy and fun ways to raise critical dollars while informing people about NYF. Use Evite or create a Facebook Event to send invitations and manage your guest list. We’ll mail you newsletters to distribute and a DVD to show your guests. Use a Special Occasion—Create a Facebook Fundraiser to make special occasions, such as a birthday, family reunion, or wedding, more meaningful by asking for donations in lieu of gifts. Make NYF Part of Your Business—Are you an artist, salon owner, or CEO of a company? Donate proceeds from the sale of your product or service. Spread the Word—Tell your friends, family and colleagues about NYF! An easy way to introduce them to NYF is to send them an NYF eCard, and share our updates via Facebook, Twitter, and YouTube videos. We’re so proud of NYF Board Member Gina Parker! Gina – co-founder of the NYF UK Chapter, is training for a nonstop relay from Los Angeles to Las Vegas. The team will be running 360 miles, day and night, through very challenging terrain to benefit NYF and other charities. 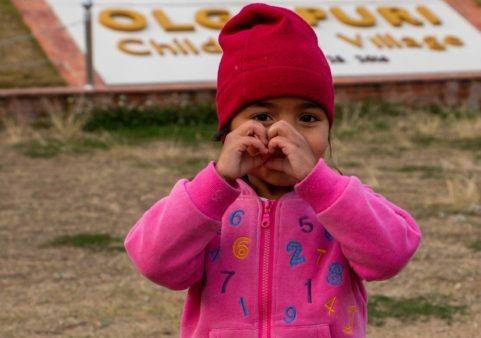 If you’re thinking about getting involved in supporting impoverished Nepali children in a more hands-on way, please contact julie@NepalYouthFoundation.org or +1 (415) 331-8585. We’ll be happy to discuss the possibilities.